Microsoft Office has become a leading platform to drive productivity at home and in the workplace. Whether it’s managing email in Outlook, or building analysis spreadsheets in Excel, Office has made carrying out many computer-based tasks easier for all of us. Microsoft Office is now compatible with mobile after they recently developed Office Mobile, which offer free-to-use versions of Office applications for mobile devices. Microsoft also runs Office Online, a web-based version of core Office apps, which are included as part of a Microsoft account. For years, Office has been compatible with Apple’s MacOS, a move which at the time was questionable due to the rivalry between Apple and Microsoft, but one that has proven to be a good one for both tech giants. In 2016, Microsoft announced there were now 1.2 billion users worldwide, using some kind of Office product or service, and 60 million monthly active Microsoft Office 365 commercial customers. That many people can’t be wrong. Recent statistics have shown that the percentage of enterprises with at least 100 users increased from 87% to 91%, and usage within enterprises grew over 320%. Office 365 was developed so Microsoft could embrace cloud technology while still offering their existing services. You can access it from anywhere as long as you have an Office 365 log in (for example, the company you work for), then your subscription will allow you to access Microsoft Office applications on Windows, macOS, iOS, Android and Windows 10 Mobile. With an Office subscription, you get help from Microsoft included. They offer invaluable support for any users who are looking to make the most of their programme, which is a vital way to maximise your productivity and usage of the product. Office applications can be used for complicated operations, depending on how you want to use them. 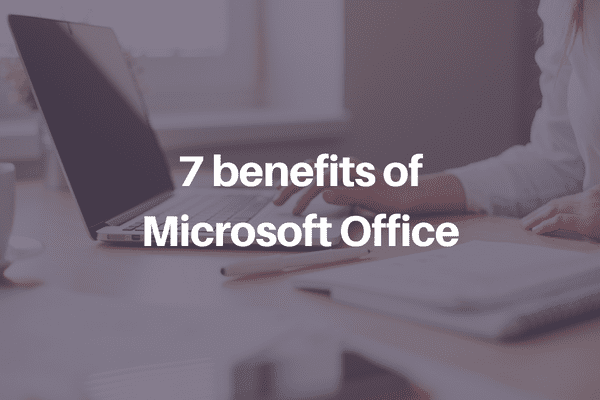 But, one of the standout features of Office is that it can be used by people of any age to simplify functions and increase productivity, which is the reason it was developed in the first place. Keeping track of your accounts or analysing business data? Excel can do that. Writing a letter or news article? Word can do that. Writing a business proposal or presentation? PowerPoint can do that. There has been a lot of news recently regarding the increasing threat of cyberattacks. Attacks are growing in sophistication and scale. Microsoft have taken the responsibility of keeping your data and information safe. All data stored in the cloud is housed in one of Microsoft’s data centres, providing real-time safety scans for messages and documents for cyber security threats, making it one of the safest cloud services around. Talk to us about Microsoft 365 licences and online training courses. Article content sourced from e-Careers, Windows Central and Sky High Networks.